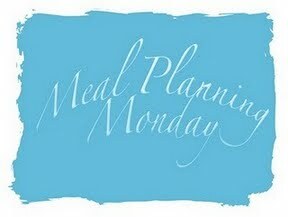 Helloooo meal planners! How are you all? Have you missed me? Took a couple of weeks off to have Geoff the Gallbladder removed, but now feel, one week post op I should at least go through the motions and try and get back into the saddle. I am not well enough to cook much yet and MrC never has an appetite so I've kept things simple. I haven't planned for the whole week though, brain wouldn't let me. But here you go! I've bought cooked chicken, low fat coleslaw and several bags of lettuce to help eat healthily but with minimum of fuss. Any other suggestions for later in the week? Don't forget to check out other meal planners over with At Home With Mrs M who I'm sure have planned lots of delicious meals to take advantage of the extended Bank Holiday weekend with half term thrown in too! On an aside, did any of you watch The Apprentice? Poor Nick Holzherr had his idea poo pooed big style by the industry experts. He wanted investment for an online tool, which allowed users to automatically upload ingredients from recipes into their shopping basket, compare prices, and add it to their favourite online grocery shopping service automatically. I thought it was genius. But Alan Sugar didn't believe it would be useful as people don't plan their weekly meals. I found the attitude a bit snobbyish and elitist. For households on a budget it's a must. I'm sure loads of us would love to be able to afford to cook whatever we fancy that night to eat. But to make things stretch, that foodie pound flying out of your purse last a bit longer and keep waste to a minimum meal planning in the only sensible solution. But what do you think? Why do you meal plan and am I being over sensitive?